After much encouragements, thoughts, research and tests. I finally decided to open an online store to make available some of my pictures as high-quality prints in both the US and Europe. It took a bit longer than I expected because I wanted to make sure that the end result was worth it. I reviewed many different online businesses offering this facility such as Red Bubble, SmugMug, ImageKind, Zenfolio, PhotoShelter…and I ended up chosing ZenFolio. One of the main aspects being cost, ease of use for myself and the visitors as well as having a choice of printing labs in Europe (Photobox) and in the US (MPix) so that people ordering prints would not have to pay international shipping fees and potential custom taxes. Then I wanted to go through the process of checking myself the quality for each and every print in various sizes. 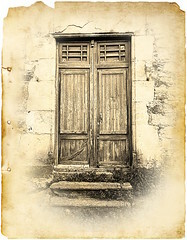 Printing sizes are for now available in 8 x 12″ (20 x 30cm), 12 x 16″ (30 x 40cm) and 16 x 20″ (40 x 50cm) and start at 35€ or $50. To celebrate the launch and benefit the (few) readers of this blog, until August 23 there will be 20% discount with coupon code SBBLLCH (enter at checkout time). As mentioned on the online store, prints are 100% guaranteed, and if for whatever reason you do not like the print, you can ask for a refund or reprint whichever you prefer. Again, I cannot thank enough all the people that have encouraged me to do this, should they be friends, family or people I bumped into while traveling and I hope the end result is to their liking. (and big thanks to the one who pre-ordered). I’m back from a short visit to Rwanda from May 8 to May 13. 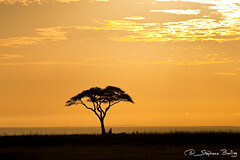 The main objective was to photographs mountains gorillas in the Volcanoes National Park. I could not get more people to join for planning reasons, so only Ludovic could join the fun. For me, it was about 20 years since I went to see gorillas in Rwanda. At that time I was around 15 and living in nearby Burundi and we came there a couple of years after Dian Fossey’s murder. Since I did not have any visual evidence but only a (fading) memory of a very close encounter I was keen to go back and organize a trip there to try to bring some shots that I will keep for the years to come. 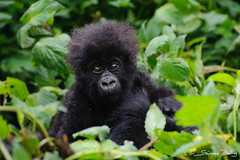 Organizing a trip to see mountain gorillas first mean to secure permits to do so. Gorilla Permits are scarce and definitely not cheap nowadays. 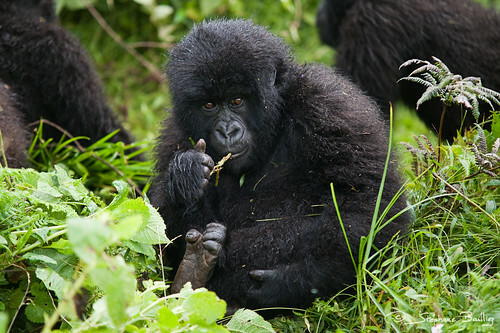 In Rwanda, it is possible to visit up to 7 groups of gorillas, and only a maximum of 8 people can join, which makes up to 56 permits a day available. A permit cost USD500 and allows to stay with the gorillas for only an hour. This is obviously to limit the interaction and not disturb them too much. For this trip I wanted to secure 3 consecutive days of permits so that we could enjoy maximum photo opportunities and visit different groups. Season plays a big role in the availability of permits, most of the permits in june/july/august/september are booked up to a year in advance and while it is possible to get a spot left here and there, this is not really possible to get 3 days in a row for several people. In my case I took advantage of going during the end of the rainy season and I had a lot of choice in term of dates while I did the booking in April. The other advantage of the rainy season is that gorillas are not high up in the mountains but come lower, so treks tend to be shorter. In our case we barely had to trek an hour in the forest to see the Sabyinyo, Group 13 and Kwitonda groups. The exception seems to be the Susa group which tends to be very far away and can easily require 4-5 hours of trek at 2500-3000m in dense forest. Incidentally Susa is also the largest group, boasting up to 33 individuals. Overall we were pretty fortunate on our trip and had really amazing interaction, including seeing a newborn gorilla just 1-day old. On our second trek to go visit the Group 13 with 22 individuals (and plenty of youngsters playing around), we were only the 2 of us to go. Photography wise this was pretty tough due to the dark and wet conditions. In anticipation of this trip I bought a Nikon D700 as I knew my old D80 would not be enough. I was using at first a Sigma 70-200 f/2.8 and then switched to a Nikon 70-300 f/3.5-5.6 VR. Most of the pictures were taken at very high ISO, up to 3200. I was also constantly having -2/3EV to make sure to not have the camera being fooled by the dark fur. During the 2nd trek, youngsters gorillas were pretty active, so cranked up minimum shutter speed to 1/400. (which I unfortunately forgot the next day while gorillas were more lethargic and thus shot at higher ISOs than what I could have). The camera did a pretty good job and I was happy I had the D700 for this. 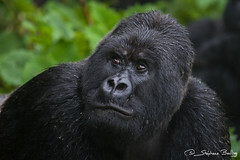 You can view some of the gorillas picture on my Flickr Rwanda set. I wanted to recycle my old Dell D810 laptop (Pentium M 2GHZ, 2GB RAM, 80GB HD) that was sitting there doing nothing and install Xen on it so that I could have a server for development purposes as well as a media center. For some odd reasons I decided to install the latest Ubuntu 9.10 on it (making sure that it was actually working fine on the laptop)…and have a go at Xen 3.4.2… little did I know how much time I would spend on it. It wasn’t obviously the best match in all aspects. Cannot access memory beyond end of bootstrap direct-map area, Unknown interrupt. No, it’ll be a 32-bit-specific issue though. I would recommend just running a 64-bit build of Xen, if the CPU supports 64-bit mode. It’ll be something to do with GRUB2 dumping the dom0 kernel and initrd higher in memory than GRUB1, past the end of where 32-bit Xen is set up to be able to access. Probably not a hard fix, although I have no GRUB2 installation to test with. Ok, so..off we go, I’m downgrading grub2 and revert back to grub-legacy. BUG: unable to handle kernel paging request at c07ab790. Obviously I can spend weeks on this, debugging and nagging xen-users, but I think I have played enough with patches and alternatives to figure out that best thing to do is to avoid that combination of Ubuntu 9.10 + Xen 3.4.2 on a Pentium M machine. I’ll see what VirtualBox looks like on 9.10 and then decides whether or not to try with an older distrib if it does not do the job. 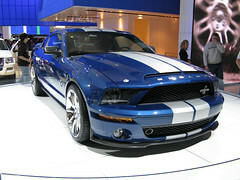 Hertz Mustang Shelby GT-H for sale! Hertz sells the unique and legendary Ford Mustang Shelby GT-H. This is one of the 500 in the world that has been produced especially for Hertz! The coupe version, a 4.6 L. V8, 325 PK muscle car, is now for sale!